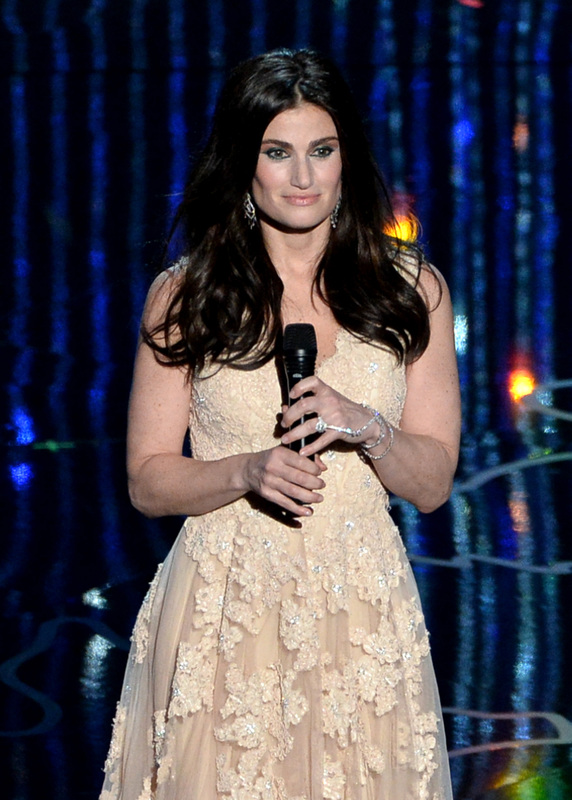 You may have heard of Idina Menzel, the Tony Award winning star of Broadway hits such as Rent and Wicked. If you've been alive the past ten years or so, perhaps you know her as Rachel Berry's mom on Glee, or as the compelling voice behind Elsa in Frozen. Who you may not know though, is the new break out star of the Oscars, the austere and elusive, Adela Dazeem. John Travolta introduced "Dazeem" as she took the stage in her world debut. You may think, huh, she looks just like Idina Menzel, talks like Idina Menzel, even sings like Idina Menzel, but Travolta just said she's not her? Because if Adela Dazeem wasn't real than why would she have a Twitter. Adela Dazeem took to said Twitter account after her groundbreaking performance to thank the man who brought her into existence, Jorn Tromolto. Her credentials include a Tony Award for the blockbuster hit, Wocked and her current play OOF/THEEM. We wish all the best for Ms. Dazeem in all of her future endeavors and we hope that she, John Travolta, and Dr. Seuss can live together in peace and harmony.